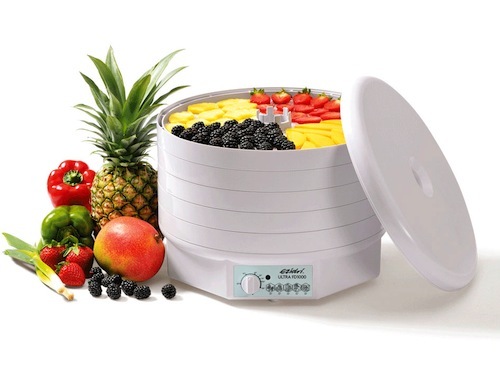 The Ezidri is a brilliant addition to your kitchen, this dehydrator is designed for bulk food drying and preservation of all your favourite fruits, delicious snacks, fruit roll ups, vegetables, herbs and flowers and more. The Ezidri Ultra is flexible enough to be well suited for individual use (home and family) and for commercial use (delis and restaurants). Its very simple to use, you simply cut up your produce, set it on the trays, turn the machine on and set it at the desired temperature and don’t worry about it for 8-12 hours. The temperature settings are very user friendly and adjustable to a temperature where you can prepare snacks and healthy treats that still have all the valuable enzymes and essential nutrients. WHAT DO I GET WITH MY MACHINE? The trays are used for your large produce, such as sliced apples, tomatoes, pineapples and more. A mesh sheet is excellent for the smaller fruits such as strawberries, cherries, and herbs. The solid sheet works well for your crackers, fruit rolls and anything that is dried from a liquid format. 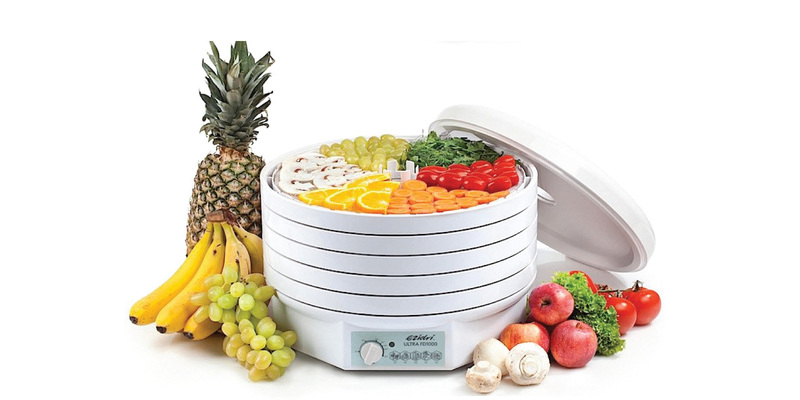 Fruits– buying already dried fruits is quite expensive and time consuming, with a dehydrator you can buy your own bananas,apples, papayas pears etc slice them and place them on the dehydrator, and be able to run errands in and around the house. 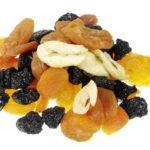 Making your own dried fruit does not limit you to the combinations that are provided in the store bought packets. 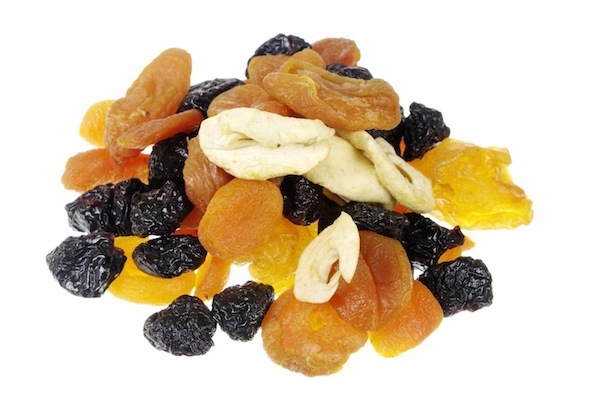 You can mix and match your dried fruit the way you want. Vegetables – traveling is something most people enjoy doing, when traveling overseas, it is better to bring your own vegetables from home, as vegetable production differs from place to place, and might not be according to your specific standard of preparation, dehydrated vegetables are convenient to pack, and chances of spoilage are very minimum. This way you travel with the peace of mind and can thoroughly enjoy a new country or continent without worrying about getting sick from consuming vegetables grown in a different climate. Biltong – One of South Africa’s favorite snacks, but with all the harmful preservatives they put in the biltong (such as potassium nitrate also known as saltpeter) , making your own biltong is safer than buying. 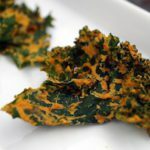 You can use the dehydrator to make your own and the best part you get to use your own creativity, do it your own way, with your own special flavourings. For people on the raw lifestyle a dehydrator is convenient in winter to not really warm up food, but to take away the chill in a stew. Crackers – Crunchy tasty crackers with cucumbers, tomatoes and cheese. This us an easy, go, to snack. Patties / Burger Patties – most of the patties available in restaurants are prepared in over heated oils. This type of oil is carcinogenic and has cancer causing properties. 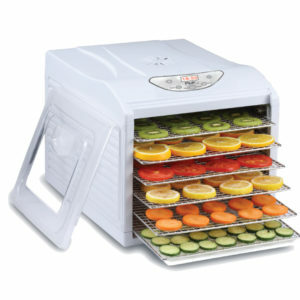 Using the dehydrator you can make your own patty, with your own ingredients that are healthy and delicious. 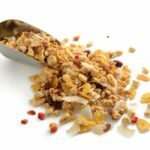 Muesli– Muesli is go to snack for many people, however store bought muesli has additional sugar and preservatives that are not healthy. 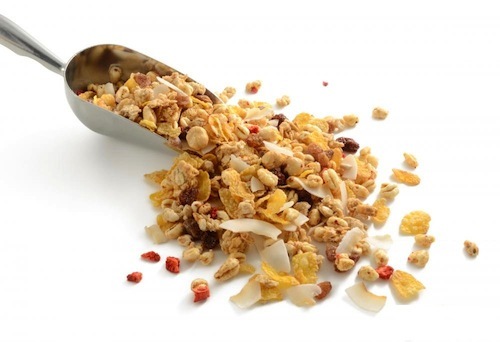 Muesli is also sold in limited quantities. With a dehydrator, you can make in bulk and use your choice of fruits and nuts to prepare the muesli exactly how you like it. 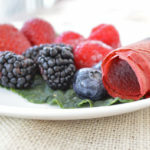 Fruit Rolls – these are fun and easy to make, you can get the whole family involved, you simply cut up your produce and mash it up with a masher, or place it in a blender/ food processor to make a fine puree, if you have a sweet tooth, you can add some honey to the puree then pour it over the solid sheet about 3-5 mm thick. 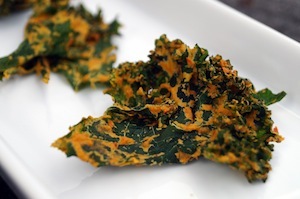 Place it in the dehydrator for 12 to 14 hours, depending on how dry you want your roll up to be. When the puree is dry, simply peel it off, cut into the desired size and enjoy. The dehydrator is also very handy for drying noodles, re-crisping day old popcorn and raising dough for breads and fresh rolls. It has a variety of functions, which gives it an overall “all in one” feel. It has a round design that allows air to circulate compared to a square design, which traps air in corners. 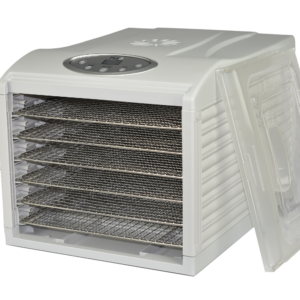 Air is forced horizontally across each individual tray ensuring that there is no cross contamination of smell (etc drying an onion and apple at the same time) compared to other dehydrators that spread air evenly carrying the smell of each food item. Using other dehydrators, as each food item (e.g. fruit, veggies, flowers) would have to be done separately. It allows you the opportunity to preserve food in a safer method than home canning or bottling. 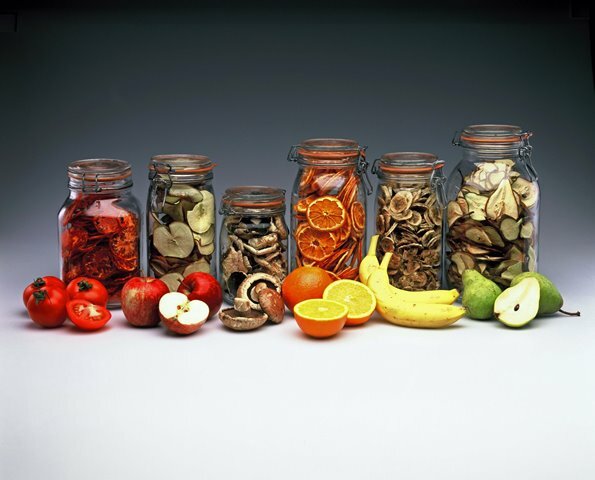 Dehydrated food is lightweight and easy to store compared to fresh produce that spoil easily. And this way you can keep fruits and vegetables that go out of season for longer or even (if enough are dehydrated) till the next season. Generally dehydrated foods weigh up to 80 % less than what they did before, making dehydrated snacks convenient for hikes and overseas trip. 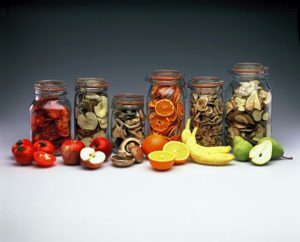 Dehydrated foods have a shelf life of up to 2 years compared to fresh fruit which barely last two weeks. Drying Stability : Suitable for vegetables, flowers, biltong, fruit rolls, herbs, glazed fruits and fish. 5 Trays 1 Mesh + 1 Solid Sheet and a recipe book/instruction book. It is equipped with three thermal fuses to ensure complete shutdown within 3 seconds for any type of electrical fault. Its very economical to run and extremely safe. No tray rotation necessary due to the heated airflow movements and pattern. 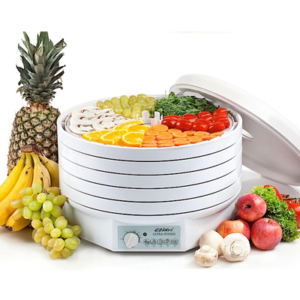 Dehydrates up to 20 or more different types of vegetables and fruits. High manufacturing standards and quality materials guarantee years of reliable services. Easy to clean- simply wipe with a soft damp cloth. Excellent for the raw food diet. How much produce can I fit on one tray? Approximately a kilo, depending on the produce and how it is prepared. How thick should I cut my fruits and vegetables? How do I know when the food is dry? Various fruits will have a different feel and have a certain elasticity. How can I rehydrate / reconstitute dried foods? This usually occurs for cooking purposes, recommended one cup of dried goods to one cup of water soaked for 5- 20 minutes. What healthy alternative can I use to preserve my food for longer? 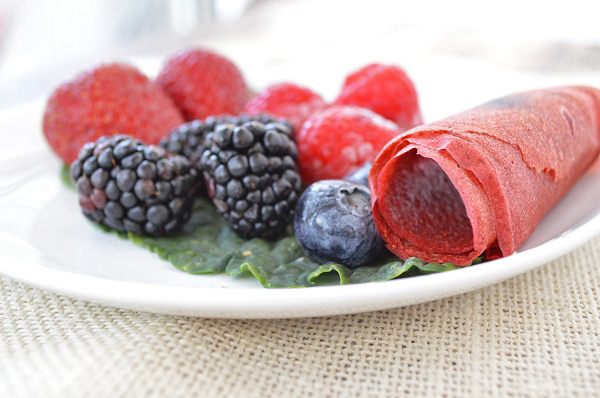 In store bought dried fruit and vegetables they use hazardous chemicals to preserve the food for longer, a healthy alternative is citrus or pineapple juice, these also help preserve vitamin A and C.
How do I make roll-ups? These are very easy to make and are convenient, especially if you have excess fruit. You simply cut up your fruit and mash it up (or blend it) until its a smooth puree, then place a solid sheet on your dehydrator tray and pour the puree over the sheet, about 3-5mm thick. Dehydrate for 12-14 hours, depending on how dry you want it to be it varies from person to person. When ready simply peel off, roll up, cut into desired size and enjoy.